Every year on the Fourth of July, Jeeter’s wife Lou struts in the town parade wearing suspenders made of jumper cables with a tow chain around her waist. Those in the know—which means everyone in town—chuckle at Lou’s silent commentary on her husband’s skill as an automotive mechanic. But Jeeter has a different perspective: "That’s my wife right there," he tells a stranger. "She knows cars." Author Bill Schubart brings to life the friends and characters of his native Lamoille County, where in the late 1950s and early 1960s, life was lived close to the earth and often against the grain. Schubart’s collection of twenty-two stories captures Vermont in its transition from an enclave of hill farms and small towns where everyone knew your grandfather to a place where vehicles bearing license plates from "away" mix with hippie vans filled with born-again Vermonters getting back to the land…until snowfall. It’s a time and place where the Jeeters of "The Lamoille Stories" rub elbows with the ladies of the Uplift Club, all to the fiddle accompaniment of Québécois music played by people whose conversations often weave French and English together in a single sentence. "Schubart’s full-hearted and compassionate evocation of this Vermont is by turns poignant, funny and savory. The stories give readers a good excuse to stay up too late to discover how Wyvis will circumvent the new Vermont prohibition on having more than three junk cars in your yard or how Charlie is going to get Edgar to pay him for his new chimney. Schubart’s thoroughly enjoyable short story collection is as finely etched as the frost crystals on your winter window." 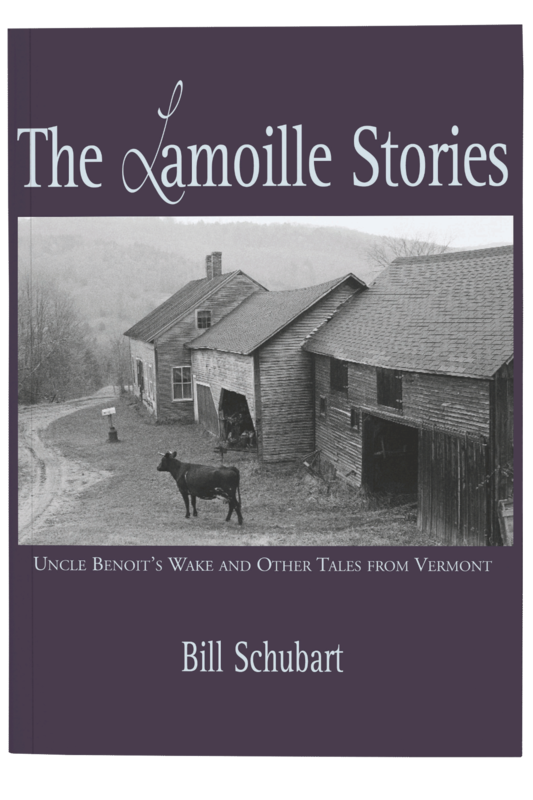 "Bill Schubart's Vermont stories of a mostly-forgotten time and place are fresh, authentic, funny in places and sad in others. He knows his corner of the Green Mountains inside out and writes with honesty and grace about its people." -Howard Frank Mosheris the author of "Disappearances," "Mary Blythe," and "On Kingdom Mountain"